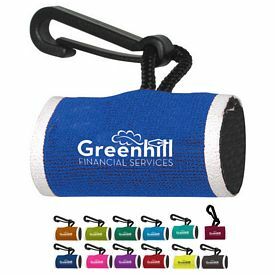 We have a vast range of promotional items to choose from for your company. 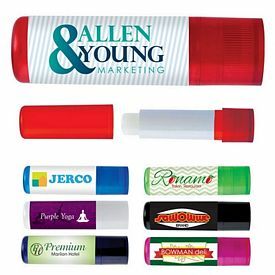 Our company can customize your promotional lip balm products with a company logo. 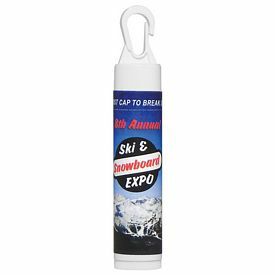 Our lip balm sun stick is a customized lip balm on one end and sunscreen stick at the other end making it a very useful product. 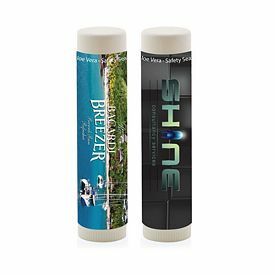 The SPF 15 lip balm and the SPF 30 sunscreen meet FDA requirements. 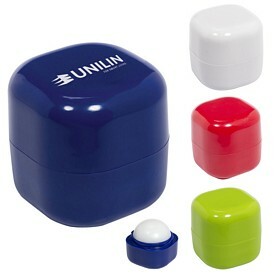 You will get the promotional lip balm in white color with black trim. 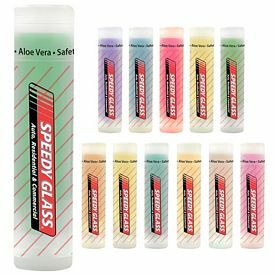 We will produce the product with free 24 hour rush service. 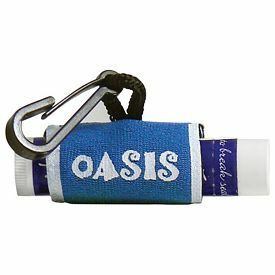 The advertising lip balm with a hook can be easily attached to backpack, belt loops etc. 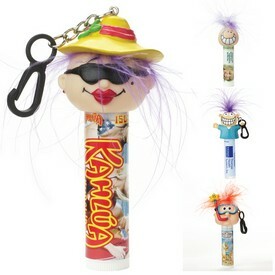 The personalized lip balm is FDA approved and gives SPF 15 sun protection. You can get the personal care product in three flavors. 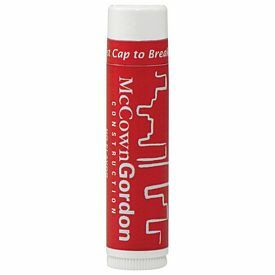 There will be maximum visibility of the screen print as the color of the custom lip balm stick is white. 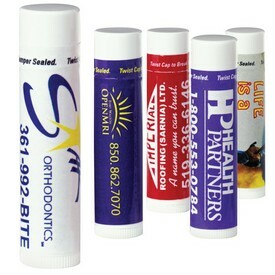 Keep the health of your lips intact with the promotional lip balm jar. 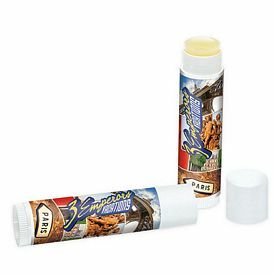 The vanilla flavored balm gives SPF 15 protection from the harmful rays. 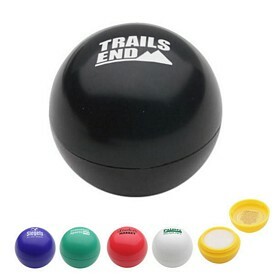 The promotional lip balm jar is .35 oz and meets FDA requirements. 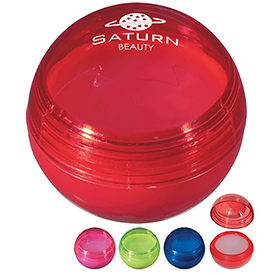 The imprinted lip balm jar is available in clear jars with green, red, blue, black, and clear lids. 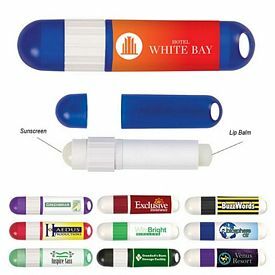 Mint Flavor promotional Lip balm is one of the most popular promotional products in the lip care category. 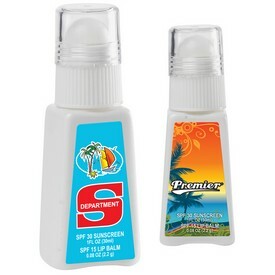 The safety sealed products provide SPF 15 protection. 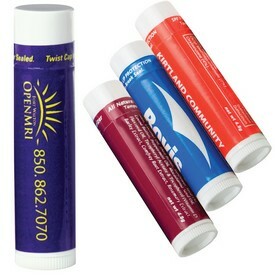 You will get the promotional lip balm in white color with a 4 color process label. We will not charge any setup fees. 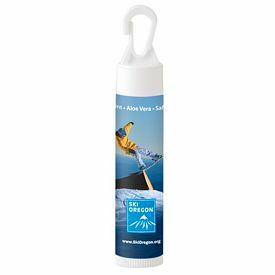 A full color digital label will be produced free of cost. No extra amount will be taken for the artwork eproof. 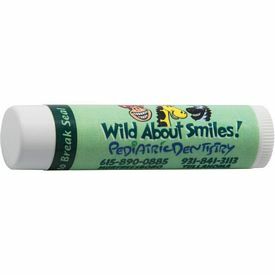 The branded Chap Lip balm white tube is a customized lip balm made in the USA. 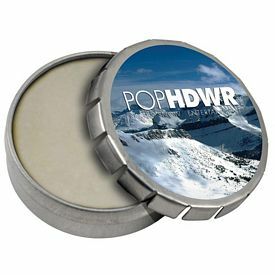 The promotional lip balm contains UVB and UVA protectors, aloe vera and is PABA free. 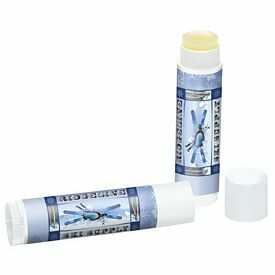 Our SPF 15 lip balm is imprinted in full color digital process on a clear, metallic or white decal. 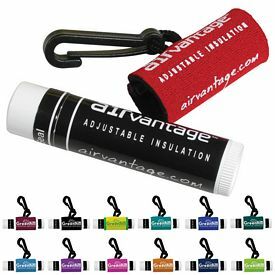 The personalized lip balm is a great personal care product that can serve as a giveaway item for tradeshows, hotels, spas, salons etc. 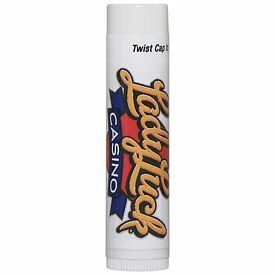 Multiple flavors are available like cherry, mint, natural, passion fruit, vanilla and strawberry. 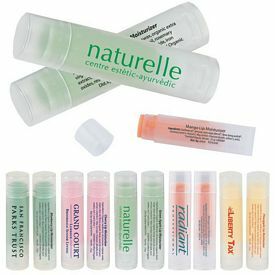 The promo lip care product looks semi-translucent in color. 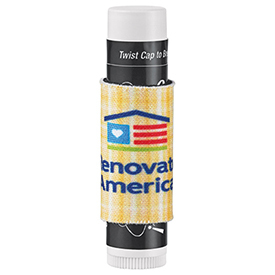 You can try out the customized lip balm with caddy. 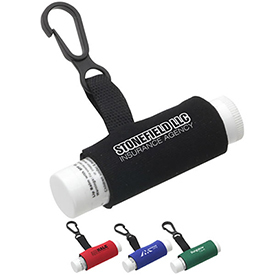 The caddy with lanyard is refillable which keeps the lip balm always accessible. 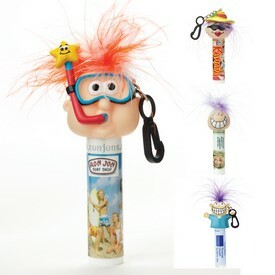 Flavors include mint, cherry, vanilla and tropical fruit. 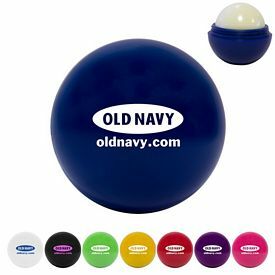 Variety of colors can be chosen for the customized lip balm caddy like blue, black, yellow, green, pink, purple, red, salsa, white , orange etc. You can either opt for pad printing or screen printing. 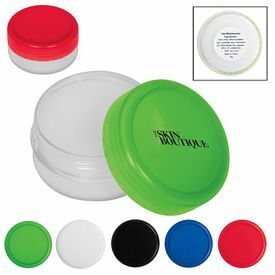 We will do a one color logo imprint and will print the ingredients on the second side. 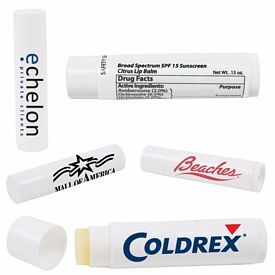 The customized Clip Lip balm can be one of the major promotional items for any hotel, spa, salon, and FMGC companies. 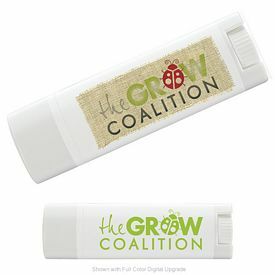 The full color digital artwork gives a retail appearance to the promotional lip balm. 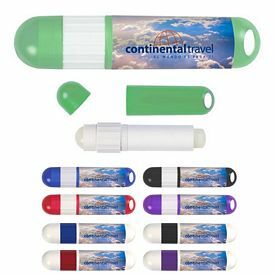 The clip can effortlessly attach to belt loops, backpacks, key chains, jackets, and golf bags. 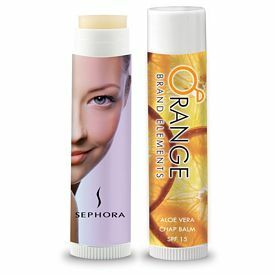 The FDA approved balm contains UVA and UVB protectors and aloe vera. 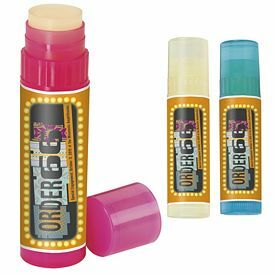 Customers will enjoy wearing the lip balm as it comes in many flavors like mint, citrus, cherry, passion fruit, vanilla, strawberry, or natural.